Dr. Adrian Moyer graduated the medical school from the University of Kansas School of Medicine. 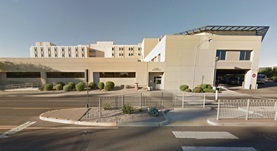 He did his internship at the Tucson Medical Center and completed his residency program at the University of Arizona. He is specialized in radiology and board certified in diagnostic radiology. 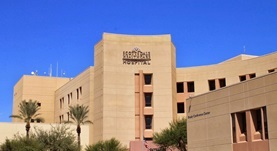 Dr. Moyer has been in practice for more than 11 years and is affiliated with the HonorHealth Scottsdale Osborn Medical Center and HonorHealth Scottsdale Shea Medical Center. During his career, he has also contributed to 1 publication of medical interest. Dr. Adrian Moyer has contributed to 1 publications. Popliteal vascular entrapment syndrome caused by a rare anomalous slip of the lateral head of the gastrocnemius muscle. Liu, P. T., Moyer, A. C., Huettl, E. A., Fowl, R. J., Stone, W. M.; Skeletal Radiol. 2005 Jun.